Longtime Martha Stewart fans may remember the second home she purchased in East Hampton in 1995 - a stark, modernist residence designed and built in 1963 by famed architect Gordon Bunshaft. It was designed to be Bunshaft's principal home and was located in the Georgica Pond area of East Hampton, not far from Lily Pond, where Martha had purchased an 1880s Victorian home several years prior. Martha owned the Bunshaft property for less than a decade but its presence in her life is worth reflecting upon. She purchased the home from New York's Museum of Modern Art for just over $3-million. It had been previously willed to the museum by Bunshaft's widow upon her death in 1994 but its council could not afford to maintain the property and was forced to sell it. When Martha purchased it, she vowed not to make any changes to the home's exterior but did commission an interior renovation with architect John Pawson. Not long after she purchased the property, however, an acrimonious feud erupted between Martha and her neighbour, real-estate magnate Harry Macklowe. The feud escalated to such heated intensity that Martha chose to abandon the home entirely (mid-renovation) and transfered ownership to her daughter, Alexis, who in turn sold it to Donald Maharam in 2004 for $9.4-million. 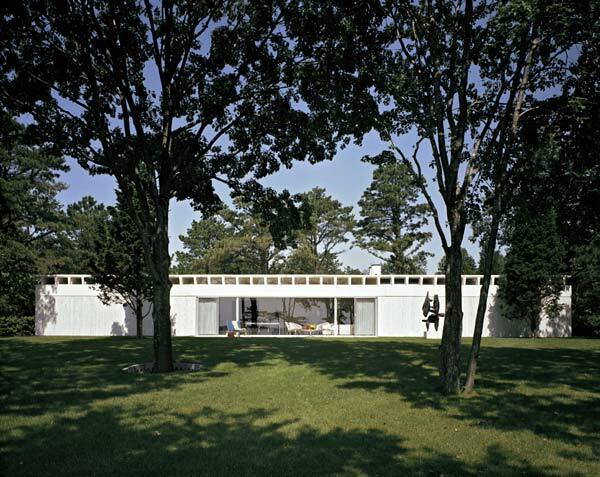 Maharam has since demolished the home and constructed a new residence. The house was contained within a rectangular box, 100 feet long by 26 feet wide, with its long dimension tangent to the lagoon's shoreline to the south. It was raised on a broad six-foot berm above the floodplain. The exterior walls were poured-in-place concrete clad with travertine (the home was sometimes referred to as the Travertine House) and the exposed roof structure was made up of pre-stressed concrete beams with a "double T" shape, exposed on either edge with the openings filled with plate glass clerestory windows. The ends of the house were shaded by a 4-foot extension of the roof and side walls with a paved strip extending the stone flooring to the edge of the walls. The main living spaces had floor-to-ceiling plate glass openings. 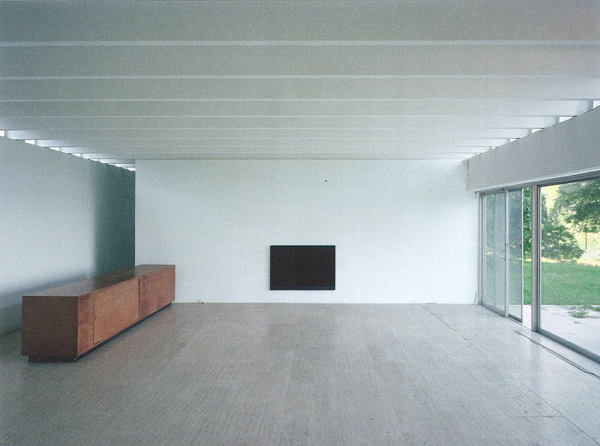 Interior walls were white-painted plaster and the floors were travertine over a concrete slab foundation. The entry door, one of only two openings in the solid north wall, opened directly into a small entry hall between the central living room and the master bedroom. Opposite the open living area was a smaller guest bedroom and a study, separated from the living space by a U-shaped kitchen and the guest bath. The Bunshafts decorated their retreat primarily in off-whites with natural wood and glass and occasional red accents. Lighting was designed to highlight their art collection which included works by Picasso, Le Corbusier, Jack Youngerman, and Henry Moore as well as rock sculptures by Mary Bunshaft. Martha's interest in acquiring the home can be linked to her deep admiration for Bunshaft's designs, many of which are considered today to be New York City landmarks, such as the Lever House on Park Avenue and 53rd St., which was Manhattan's first glass-and-steel skyscraper, erected in 1952. 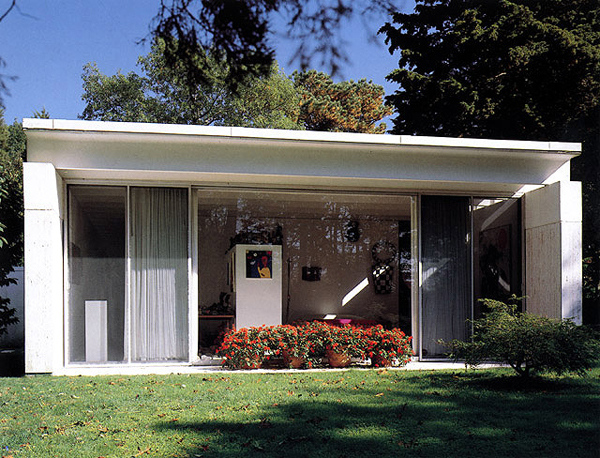 As the only example of Bunshaft's residential design, the house was extremely important to his body of work. Martha's initial aim was to ensure its survival. The home was photographed for several decorating features in Martha Stewart Living magazine prior to its renovation. That the property's new owner chose to destroy the historic home to erect a new mansion was a bitter pill for many architecture enthusiasts to swallow. 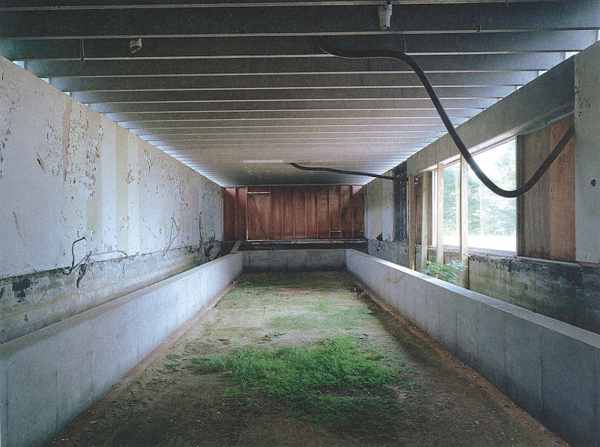 Below are photographs of the home in its former glory and in its state of abandonment. Martha did manage to salvage the marble flooring from the home during her renovation process and has since repurposed it in her current home in Bedford, New York. The floor of her kitchen and the floor in one of her greenhouses employs the use of this salvaged stone. 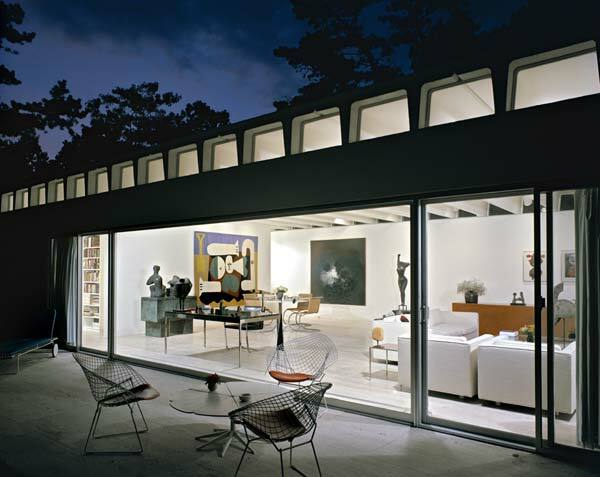 Top three photos: The Bunshaft House in its prime. Photo 4: The house cleared and ready for renovation. Photo 5: The floor was removed in order to create a basement for the home. In this photo the years of neglect have clearly taken a toll. Nothing of the original structure remains today. Photo 6: The stone from the Bunshaft house is housed in this stone yard at Bedford, Martha's property in Katonah, New York. The Emhart Building and this one. When I (I'm swiss) visited New York last year, nobody at he AIA 'store', nobody even knew Bunshaft! And I actually travelled from Europe to NY just to see those buildings. I think we have a serious cultural problem here. I consider Bunshaft to be one of the most underrated architects. We have to make shure, that the Manufacturers Trust Building at 5th in New York won't be torn down as well. I thought that Martha Steward hired John Pawson to do the renovation. 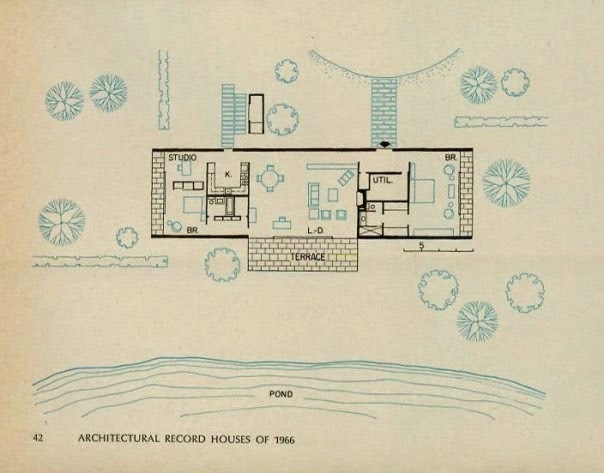 Do the Architectural plans for the home still exist? Yes, Tommy, I've added a photo of the plans in the post. I am speaking about the actually builder blueprints, the plans the contractors would have used to construct the house for Bunshaft. Sorry can't help you there. Back in the mid 80's, I lived in a house in Pound Ridge, New York. Gordon Bunshaft designed it for Bill Neeley in 1955 and it was completed in 1957. It was a classic example of 50's modern design.